DS1307 is an old and classic real-time clock (RTC) chip that has been used in many electronic circuits. There are also many libraries written for DS1307, notably this Arduino Time library which includes a DS1307RTC class. Given its age and popularity, it’s surprising that the chip is not cheap: even at volume pricing, it usually costs around $2 each. Even a microcontroller like ATtiny45 costs only about about 60 cents. How complicated can an RTC chip be compared to a microcontroller! Recently I came across Microchip’s MCP7940N, which is less expensive and is pretty much a drop-in replacement of DS1307. At a quantity of 100, it costs 65 cents each, which is about a third of the price of DS1307. To be fair, there are even cheaper options, but those often do not have battery backup support, which would not be desirable. Microchip has published a DS1307 to MCP7940N migration document which thoroughly explained the differences between the two. 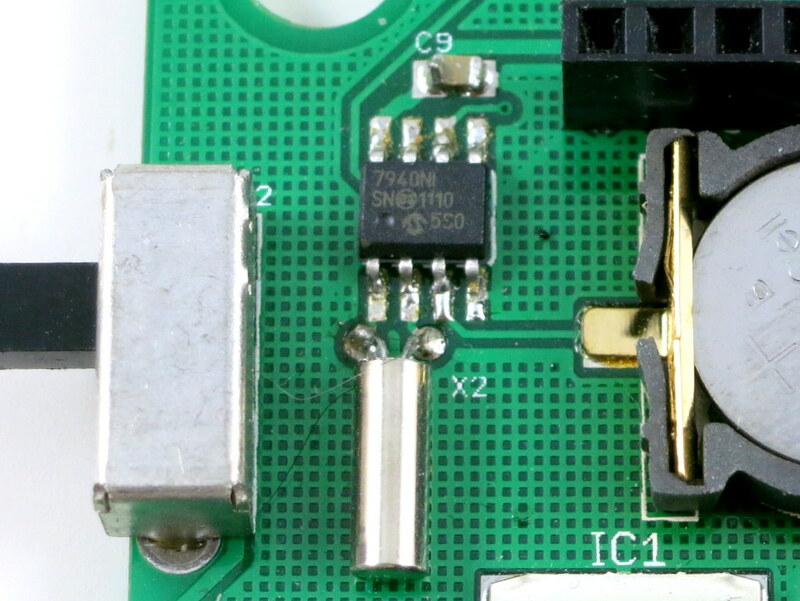 To begin, Microchip recommends adding a few extra elements, such as load capacitors for 32.768kHz crystal, and protection circuitry for the backup battery. If you are not so concerned with this level of reliability, you can leave out these elements and hence it will be truly a drop-in replacement. 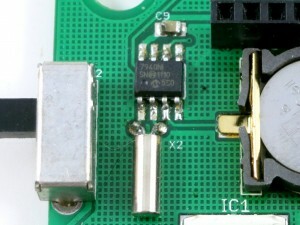 I2C address: MCP7940N uses address 1101111 while DS1307 uses 1101000. Clock enable: MCP7940N uses active high while DS1307 uses active low. Battery backup: MCP7940N disables it on startup while DS1307 always enables it. These changes are fairly easy to make. So I modified the DS1307RTC library to accommodate both. The library can automatically detect which RTC chip you have. Using the modified library, you need to first run RTC.detect() to detect whether an RTC chip is installed and which one it is. The detect() function returns 0 if either DS1307 or MCP7940N is detected, and a non-zero value if an error has occurred. The rest is the same as before. Download the modified DS1307RTC library. This library can replace the one included in Arduino’s Time library. Note that it also works for DS3231, which is compatible with DS1307 but with a built-in temperature compensated crystal. Finally I checked the data sheet and turns out there is a leap year bit (and 2016 is a leap year) in the month register. Thanks for sharing the fix. Really appreciate it.